A recent poll commissioned by USA Today and Suffolk University delivered a dire warning for Democrats still stung by the election of Donald J. Trump as president of the United States. The clear “frontrunner” for the 2020 presidential race is someone new. Anyone new. A fresh face. A friend of mine wondered on social media who the Democrats could come up with. I didn’t answer him directly, but I’ll do so here: If we could come up with a name, it wouldn’t be a new face. The political parties historically have fallen back to the tried and true practitioners of the politics. They tend to look for established figures. Then again, we have one example of a new face rising up from out of nowhere. Jimmy Carter did that in 1976. He was a former one-term governor of Georgia. He didn’t have a particularly noteworthy term as governor. Indeed, his views evolved over time. He had run for political office before as a segregationist. His term as governor featured a radical departure from his former view. 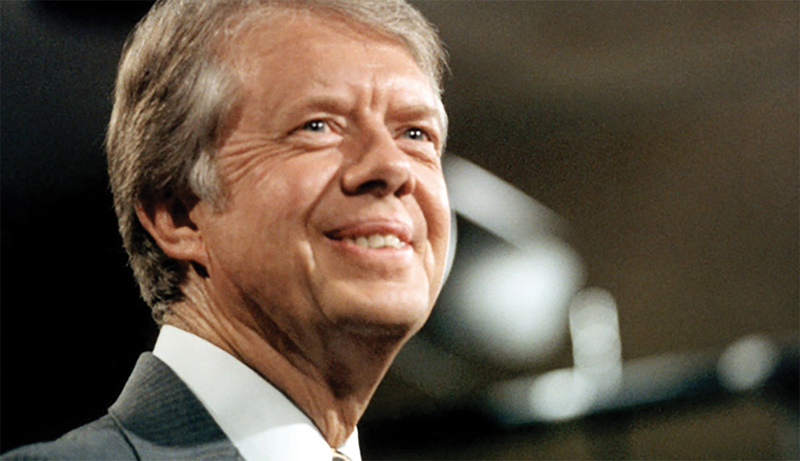 Carter would introduce himself at political parties by saying, “My name is Jimmy Carter and I’m running for president.” He strode to the podium at the 1976 Democratic National Convention and began his presidential nominating acceptance speech with that signature line. Is there another Jimmy Carter out there? Hello? Come out, come out … wherever you are. Previous PostWhat’s wrong with ‘noon’ and ‘midnight’?Next PostNo ‘racist intent’? Is this guy joking?